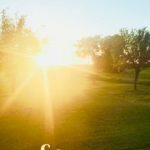 While we away traveling this week (see updates here) I have several awesome friends sharing some very encouraging posts. 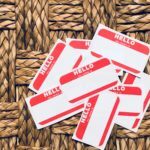 First is a huge thank you to my friend who is not a blogger, but so graciously agreed to write a post for me. 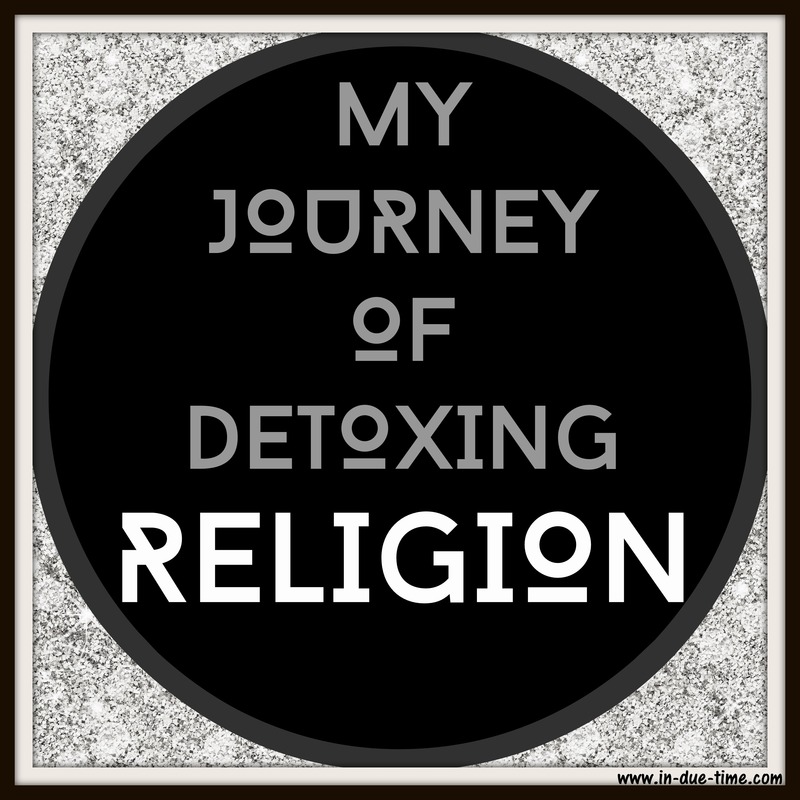 She is sharing her heart about her detox with religion. Religion is a topic that has been on my heart a lot lately and recently my friend shared in person her testimony of the topic. I knew I wanted her to share on here as her words convey the message so much better than I could have ever said myself. 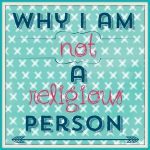 If you haven’t already, you might want to start with reading “Why I Am Not a Religious Person” before reading this guest post. I know, you would think a girl that has spent years “serving” Jesus, a Bible school graduate “doing” full-time ministry, should know, right? Wrong. That’s the problem, I only had known how to DO, not what relationship with Jesus meant. As a result, all the doing and “works” left me a little bit bitter towards God, ministry and people. Ok, maybe there was A LOT of bitterness. Religiosity had gotten the best of me. I was angry and hurt. My relationship with Jesus was on the rocks, and I’m not talking about a margarita. There simply had to be something more! I was tired, worn out, and burnt out. Did God even like me? I didn’t feel Him; maybe He had left me. Maybe I hadn’t done enough or wasn’t good enough. Maybe I had quenched Him, and He had left?! I was in a constant state of questioning. And this place is where my journey of detoxing religion began. When nothing else worked. When all the religious do’s and don’t’s didn’t “do” anything for me. Jesus began to whispering His simple truths to me. But my religious detox has been the most freeing thing that has happened to me, and IS happening to me. I put the emphasis on “IS” because, Lord knows, it’s a process. Religion strips Christianity down to a system, a practice and behavior—verses a relationship with Jesus. Have you ever met those “SUPER SPIRITUAL” weirdos who seem have it all together? Yep, we all have met those folks. If you ARE or WERE one, there is no judgment. They mean well… but DANG, how can you live up to those standards? Well, there I was 6 years ago, in ministry, striving to do EVERYTHING right and failing miserably. I was fasting, praying (at the “RIGHT TIME” everyday, and you know there is a “right time”), and witnessing to at least one person a day. I was trying, striving, and dying on the inside. Now, I am not saying that those things are bad or wrong, but my motive was to “WIN” God’s affections and approval. I was trying to earn my salvation; little did I know, I already had His affections and approval. I didn’t know who God really was. Heck, I didn’t know WHO I WAS. I was His child, but I was striving like a orphan. And I’m not going to lie, I can easily slip back into works-based-salvation. OK, can ANYONE relate to this? “I’m doing everything RIGHT and still feel far from Him.” I mean there were times if I didn’t have my “quiet time” for 2 days in a row that I just knew God had gotten all insecure on me like a teenage-dramaqueen, playing the silent treatment with me. Religion is brutal. You are NEVER enough. You can never measure up. And that’s just not the true Gospel. The Gospel is simple. Jesus paid it all; I am OK with God because of Him. All we, as His kids, are asked to do is believe and receive. THAT’S IT. I was so worried about my behavior and pleasing Him. Religion took my eyes off of my true identity as His kid and focused my attention on behavior and performance. I did not realize that it takes us knowing who we belong to and how much he loves us to make all the unwanted “behaviors” fall away naturally. Love is our motivator. Over Christmas I heard the song, “Oh Come, Oh Come Emmanuel”; I immediately thought, “Emmanuel: God with us; what a freaking RELIEF!” Now, I had heard that song a gazillion times, as have you. But this time the song meant something to me. What a breath of fresh (non-religious) air. What a comforting FACT. God is surrounding us/me with His love and comfort. Through His presence, through His Word, and through our family (the Body of Christ). So, all we really need to do is to rest and receive from Emmanuel; God is with us. Isn’t it wonderful that we don’t have to strive to get some warm goose bumps to feel Him. He’s really in there, and He isn’t leaving. He is so secure with you and me. In my religious mindset I could have never felt the way I did when I heard the phrase, “Emmanuel, God with us”. I mean who wants a God WITH them…. Who is ALWAYS examining your performance? Through religion, that picture is how I saw God. When Isaiah (in the Old Testament of the Bible) prophesied about Emmanuel, this statement revolutionized everything. God was no longer just in the temple. 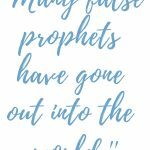 No longer was He just speaking to the priest and prophets OR THE SUPER-SPIRITUAL PEOPLE. All of the sudden, it was announced: Emmanuel, God with us. He is coming to live IN us. This was UNHEARD OF. This declaration was a big deal. A baby does indeed change everything. The reality of Baby Jesus truly changed everything. 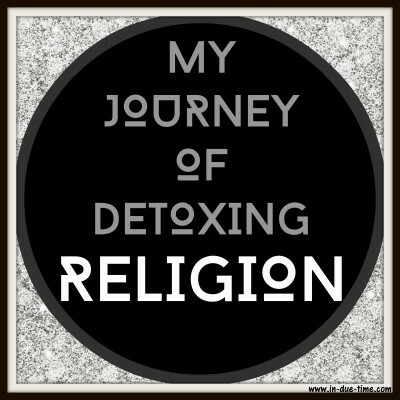 The reality of detoxing from religion has truly changed everything for me. Religion says: do, do, do, strive, strive, strive, to get, get, get. Jesus says be, be, be and just receive. Religion says: it’s what YOU do for God. Jesus says: it’s what I did for YOU. He is our Emmanuel: God WITH us and IN us, in every circumstance. So when (not if) life gets hard. He is with you. When the money doesn’t cover the bills, He’s with you. When you’ve lost your best friend, He is with you. When you struggle to give into temptation, He’s with you (and still loves you). What are the thoughts that bring you grief or worry? 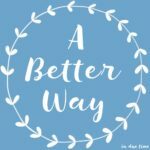 Do you struggle with seeing God in a “religious” way? Do you find yourself striving and trying? Are you tired of trying to win God’s approval? Today, I encourage you to hear “Emmanuel, God is with you”. Let that truth bring you rest and relaxation. We can rest in the fact that He is in us, and we are in Him. No matter what life looks like, no matter how you feel, He is still in you. He hasn’t left, and He doesn’t plan to. Emanuel, “God with us.” WHAT A RELIEF! Hi Caroline, this post is power packed. Many of us walk in vain religion and we blindly follow without asking God’s instruction or digging deeper through prayers and bible study. This post is absolutely wonderful and something I have often needed to read as a reminder in my life. Thank You! Oh yes, I love this! It is so sweet to just simply trust in Jesus and rest in His presence. I’ve fallen into the trap before of trying to “earn” my salvation. And like you said, sometimes it’s easy to fall back into the trap again and again. Every time I realize what’s happening, it is like a sweet relief or a weight off of my shoulders and gives me an even greater perspective and thankful heart for Jesus taking my place on the cross. Wonderful post – thank you for sharing your testimony. Works-based salvation is so exhausting isn’t it?? Thank you for pointing back to the love, liberty and grace of God with us!! !